The squirrel dressed up as a Rock Star. Remember, I just take the photos, this is not my squirrel! 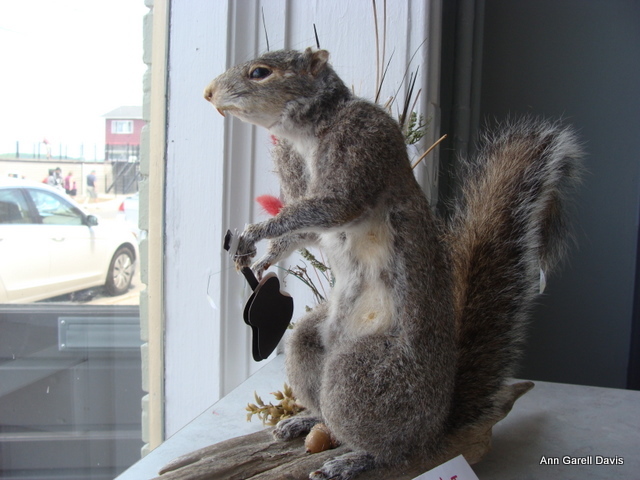 This squirrel lives in the shop window of an ice cream store in Clayton NY.